Covers Vipers 1992-96. Includes Alphabetical Index of parts, diagrams, part numbers, codes, VIN decoding, parts bulletins, build date, and all the parts from engine and transmission to interior and exterior parts and much more. 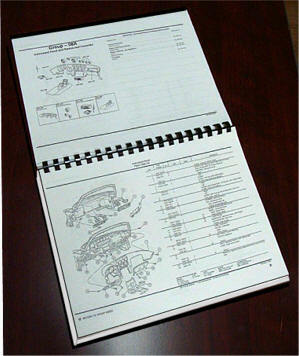 8.5" x 11.0" format with spiral binder. Reprint spiral bound with cover. 200 pages. 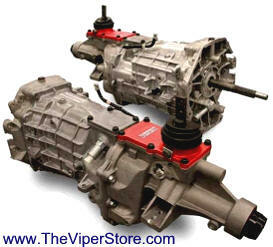 Covers VIper RT/10 1997-1998 and Viper GTS 1996-1998. Includes Alphabetical Index of parts, diagrams, part numbers, codes, VIN decoding, parts bulletins, build date, and all the parts from engine and transmission to interior and exterior parts and much more. Covers 1999 Vipers. 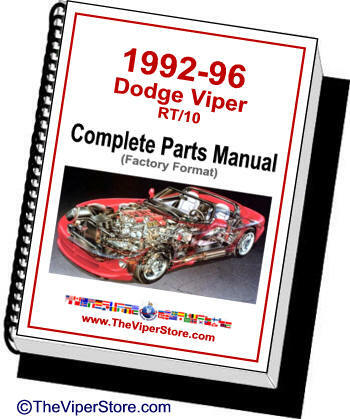 Includes Alphabetical Index of parts, diagrams, part numbers, codes, VIN decoding, parts bulletins, build date, and all the parts from engine and transmission to interior and exterior parts and much more. 8.5" x 11.0" format with spiral binder. Reprint spiral bound with cover. 180 pages. Covers 2000 Vipers . 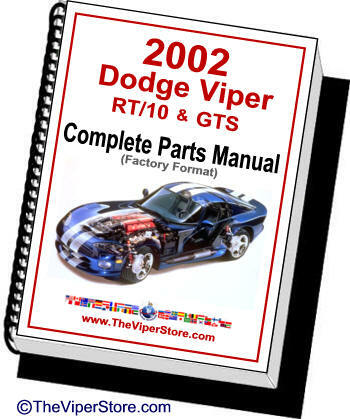 Includes Alphabetical Index of parts, diagrams, part numbers, codes, VIN decoding, parts bulletins, build date, and all the parts from engine and transmission to interior and exterior parts and much more. Covers 2001 Vipers . Includes Alphabetical Index of parts, diagrams, part numbers, codes, VIN decoding, parts bulletins, build date, and all the parts from engine and transmission to interior and exterior parts and much more. Covers 2002 Vipers . 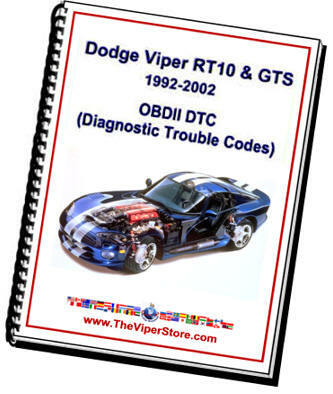 Includes Alphabetical Index of parts, diagrams, part numbers, codes, VIN decoding, parts bulletins, build date, and all the parts from engine and transmission to interior and exterior parts and much more. Over 900 OBDII diagnostic trouble codes and what they mean. 8.5" x 11.0" Format with color cover and spiral bound. 17 pages. Over 900 Dodge Engine Codes! 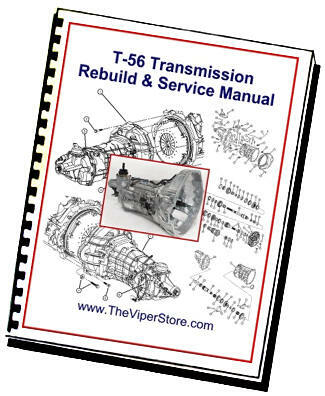 Detailed complete manual on the T56 Transmission with break down diagrams. Includes Servicing and trouble shooting, Cleaning, Inspection, Repair, Replacement, Assembly, Tips and Specifications. Spiral bound 8.5" x11" format. 52 Pages.